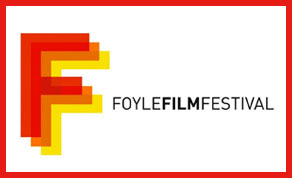 A curated selection of films from across the world highlighting diversity and equality will screen in Derry this March as part of the Foyle Film Festival’s Intercultural & Anti-Racism programme. Running from Friday 15 March to Sunday 24 March in Nerve Centre and Brunswick Moviebowl, the annual programme offers both schools and the general public an opportunity to explore issues such as racism, homophobia, sexism, and discrimination through the medium of film. Highlights for primary school students include screenings of classic Disney® films such as Up! and The Princess & the Frog. Also, screening is the Oscar® nominated film Mary Poppins Returns, which sees the formidable nanny return to the grief-stricken Banks family to help save the day. A full programme of evening screenings, open to the public, will run throughout the two weeks. The films tackle difficult themes, including child trafficking, institutional racism, and extreme poverty. Director Alan Gilsenan will present his groundbreaking drama, The Meeting, in Brunswick Moviebowl on Friday 29 March. Based on the true story of Ailbhe Griffith and the real-life meeting between her and the man who, nine years earlier, subjected her to a horrific sexual assault. Ailbhe plays herself in the film and will take part in a post-screening discussion with Dr. Marie Keenan, a restorative justice practitioner. Also screening, are critically acclaimed features Love Sonia, BlacKKKlansman, Ray & Liz, The Wife, and Border (Gräns). Once again special screenings for those living with physical and mental challenges as well as parents and babies feature in the programme and include; Mamma Mia! Here We Go Again! and A Star Is Born, starring Lady Gaga and Bradley Cooper. Films are screened in a more relaxed atmosphere, with low lighting, and complimentary tea, coffee, and biscuits are served. Click here for tickets to the event.